I saw this interesting applique quilt at an auction web site. It piqued my interest because it was oddly machine quilted. 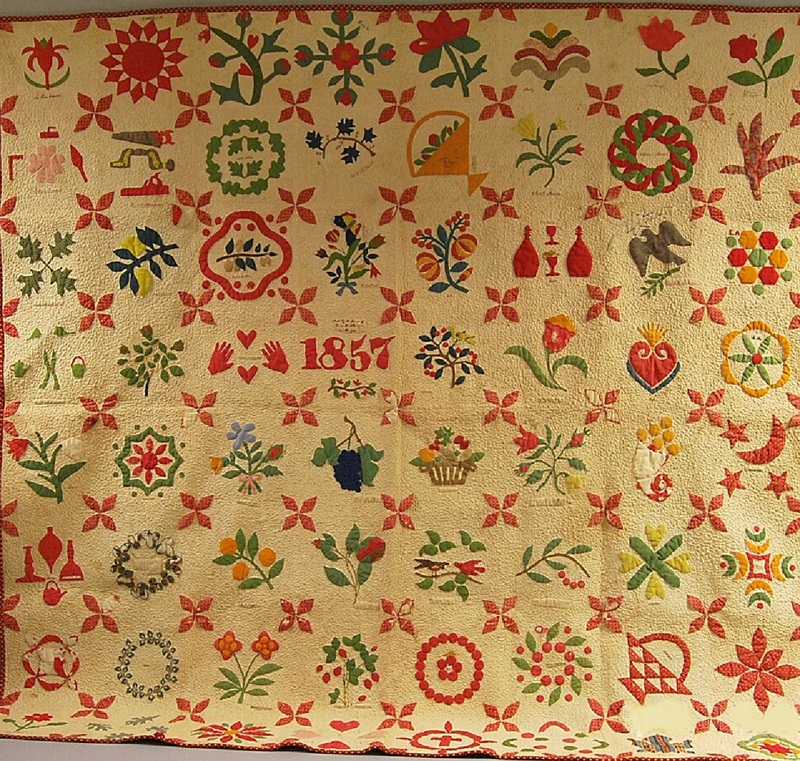 How in the world was a signature album quilt, an applique one no less, made in 1857 machine quilted? I was out of town at a quilt retreat and just for fun placed a bid on the quilt. I admit I kind of forgot about it and didn't realize the quilt was mine until I received an email from the auction house. 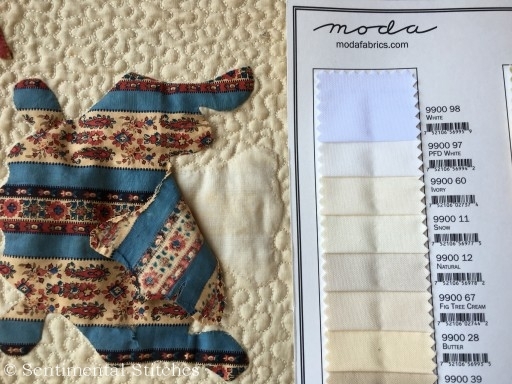 I'm in love with this quilt and all it's unusual features. 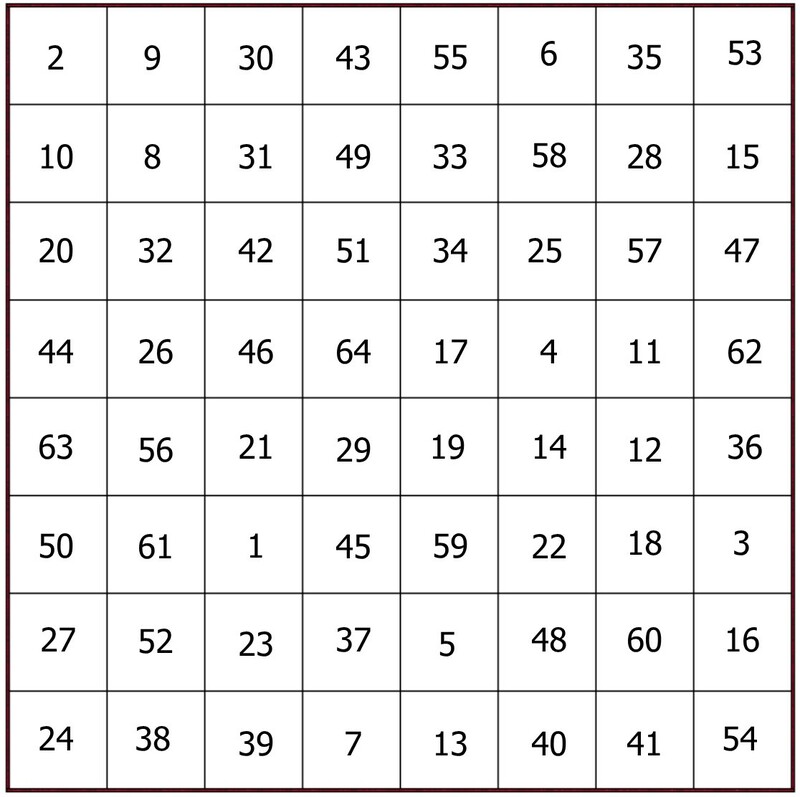 I hope you'll enjoy reproducing this quilt and learning about the people who made it's blocks. Almost all of 64 blocks are applique and I'll post 3 or 4 each month for the next 20 months beginning in January 2016. I'll post new blocks on the 1st of the month. 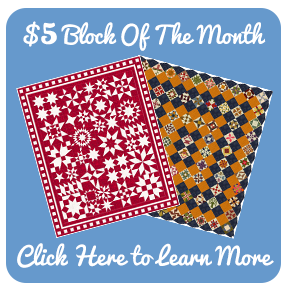 The digital block pattern sets will be free for one month (scroll down for free digital pattern link) and then retired to the Online Store so you can purchase them if you miss any. 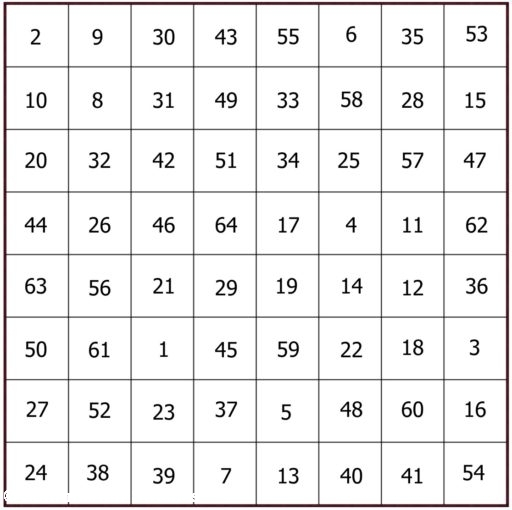 Finished size 81" x 81" If you're looking for background fabric that would be similar to the antique quilt here are some guidelines. The background fabric is the same in each block. It's not muslin but a nice solid color. 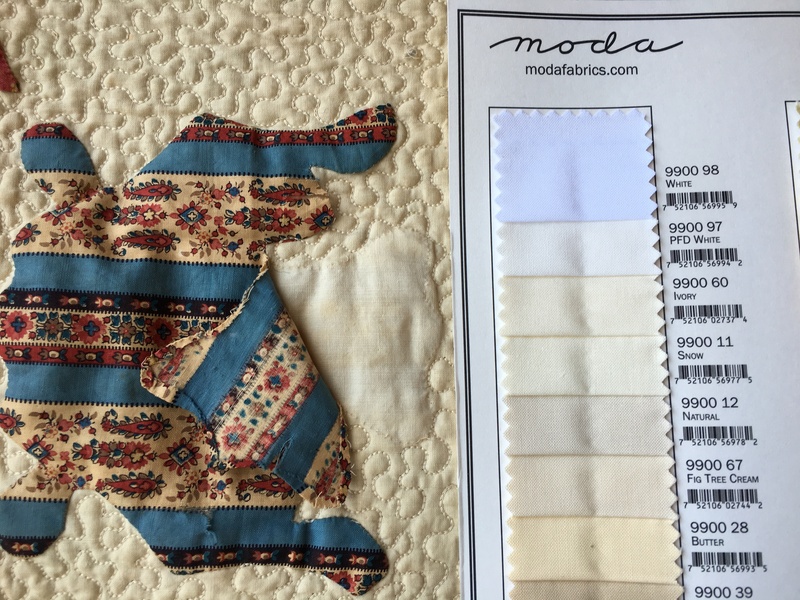 If you can look at some Moda Bella Solids or their color chart it would be helpful. The aged color you see now is closes to 9900-67 Fig Tree Cream. Under the applique the original color is closes to 9900-60 Ivory or 9900-11 Snow. 178 queries in 2.307 seconds.